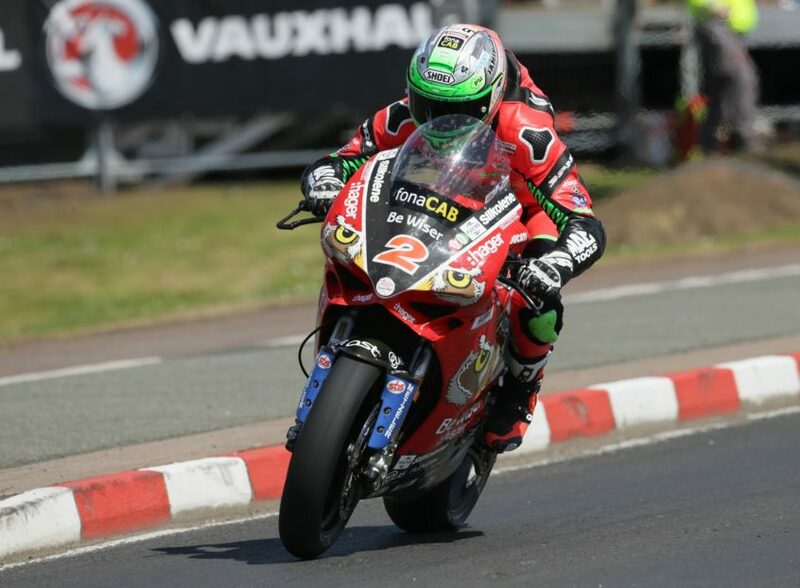 Glenn Irwin takes pole on the PBM/Be Wiser Ducati for Saturday’s Superbike races at the Vauxhall International North West 200. Glenn Irwin will start on pole position in Saturday’s Superbike races at the 2018 Vauxhall International North West 200. The PBM/Be Wiser Ducati rider, who is only competing in the superbike class, topped the time sheets during a dramatic final qualifying session on Thursday afternoon with less than one second separating the five fastest riders! “I am really, really happy to take pole.” Irwin smiled. The final superbike qualifying session had to be red flagged after Lee Johnston’s Honda Racing Fireblade blew an engine at Carnelridge and dropped oil on the road. With the track cleaned there were just 20 minutes left before the roads had to be reopened, turning the final session into a hectic sprint for the frontrunners. Irwin set his pole time on his final circuit. “We had made a slight change to the bike and it wasn’t as stable as before which was a bit scary when it started weaving in straight lines.” last year’s feature superbike race winner explained. Silicone Kawasaki’s Dean Harrison finished just 0.066 seconds behind the Carrickfergus rider after getting a tow from Alastair Seeley on his final lap. “I had a bit of clear track on that last lap and rode round with somebody who was fast.” the Bradford rider said. Local hero, Michael Dunlop was 0.094 seconds behind Harrison, just 0.7 seconds ahead of Tyco BMW teammate and 21 times North West winner Alastair Seeley. 46 year old Michael Rutter completed the top five on the Bathams BMW, just 0.875 seconds behind Irwin. Rutter had followed the Ducati rider during the session. “I thought I could have a bit of a go with Glenn but the big Duke has so much punch out of the corners.” the nine times North West superbike race winner said. Martin Jessopp completed the front two rows of the starting grid for Saturday’s big bike races more than a second back on the Riders Motorcycles BMW. Peter Hickman (Smith’s BMW), William Dunlop (Temple Golf Club Yamaha), Conor Cummins (Padgett’s Honda) and Lee Johnston (Honda Racing) completed the top ten. Johnston had to ride his superstock spec Fireblade in the restart. Johnston’s Honda teammate, Ian Hutchinson, was 13th fastest as he makes his return from injury. With sunshine and dry roads predicted for the rest of the week, the thrilling qualifying session has now set the scene for two explosive big bike races around the 8.9 mile Triangle circuit on Saturday.